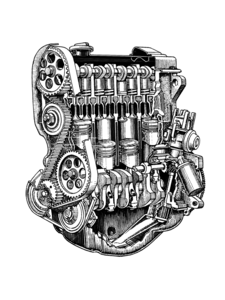 Rabbit, Rabbit Pick-up, Rabbit Convertible, Rabbit GTI, Diesel 81-84, Gas 83-84; Golf Gas and Diesel 85-89; Golf GTI 85-87 except 16V, Jetta Diesel 81-92, Gas 83-87 except 16V; Scirocco 82-87, all except 16V; or any VW with this type of spring clip. VW exhaust spring clip. 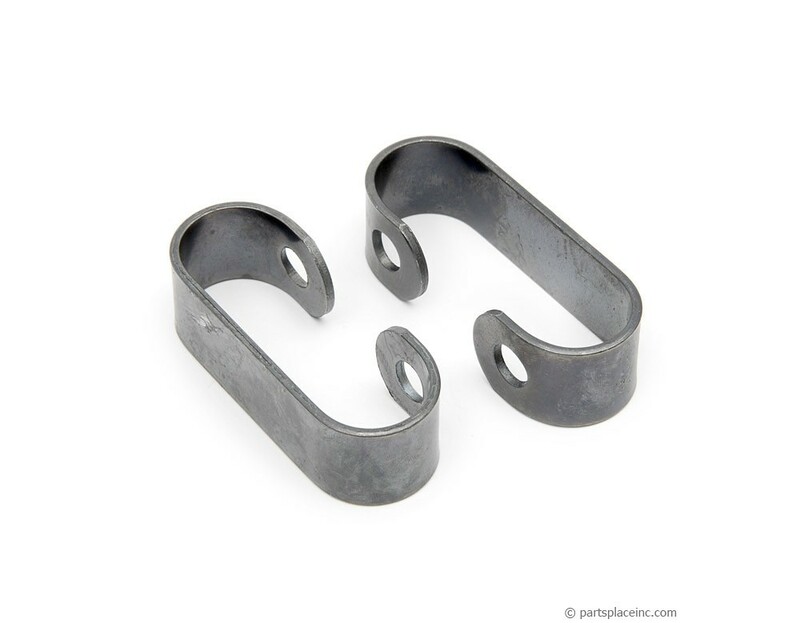 This clip holds the exhaust manifold and downpipe flanges together. A weak or saggy exhaust can wiggle these loose and be they will be gone forever. Make sure you have both clips installed if you want a clean and quiet exhaust system. Two clips are required per vehicle. Sold each. 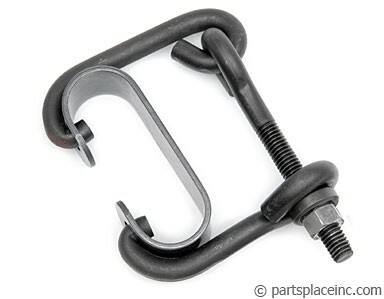 The VW exhaust spring clips are made of very strong spring steel that reqires a special tool. The exhaust spring clip tool spreads the clips out so you can slide it over the flanges on the exhaust manifold and the downpipe. 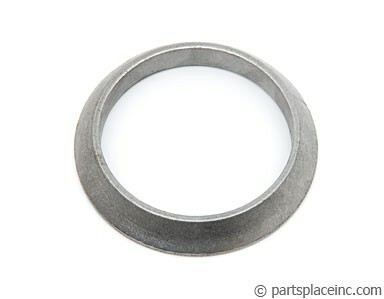 Make sure you use a new doughnut gasket when you install the spring clips in case yours was damaged and made the area weak in the first place.